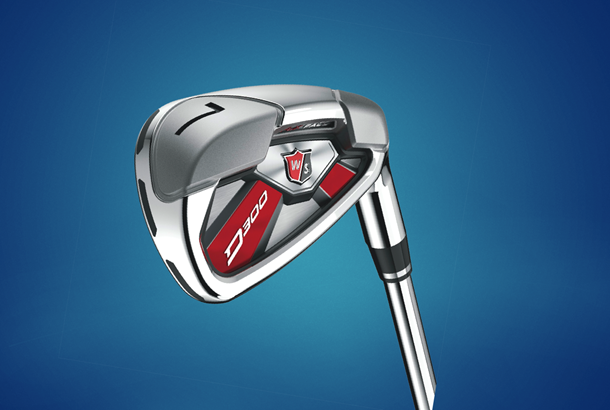 Wilson Staff's D300 Irons made our top 10 super game improvement irons for 2018 in our biggest equipment test ever - Top Gear. Find out what our testers thought of it below. Not many golfers will pick the D300’s from a club rack and fall head over heels for its head shape. But we promise the D300’s beauty unlike a supermodel lies in its performance not its looks. It’s certainly not a criticism when we say the heads a typical super game improvement design, and as such it struggles to score highly in both the forgiveness and looks camp. But what we do know is the D300 turned in a seriously strong performance for both amateur testers. Simon was the biggest fan posting his second longest carry distance and joint fastest ball speed (tied with the TaylorMade M CGB and Ping G700) with the D300 in his hands. The D300’s have a natural ability to produce speed (which is partly down to the excellent lightweight KBS Tour 80 shaft) and distance, but its strength in preserving ball speeds on off centre hits is also second to none.